Text You can Special Summon this card (from your hand) by sending 1 monster from your hand to the Graveyard. 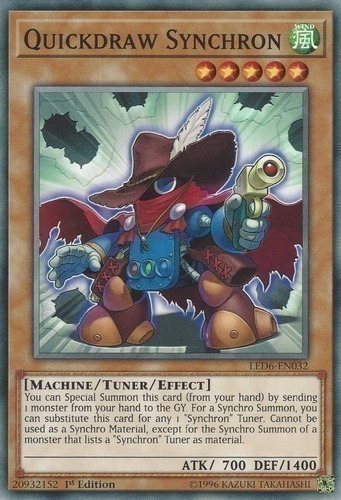 For a Synchro Summon, you can substitute this card for any 1 "Synchron" Tuner monster. Cannot be used as a Synchro Material, except for the Synchro Summon of a monster that lists a "Synchron" monster as a Tuner.